Rose Byogero is 30 years old; she has 8 children – 4 boys and 5 girls. Her first-born is 17 while her last-born is one-week-old. The only thing on this mother’s mind is to have a permanent family planning solution. She has been hesitant because her peers told her that she is too young to have a permanent solution. “I was scared of the permanent family planning method, so I opted for herbal medicine and I ended up conceiving my eighth child. I then went for an injectable method, but I have been bleeding for a whole month.” Rose says. Rose looks frail but she is convinced that after a permanent family planning method, she will regain the strength to take care if her eight children. Rose’s concern is one that many women in Busoga region grapple with yet in most times have no control over because of the patriarchal nature of their society and limited access to permanent family planning methods. Rose had come for a bilateral tubal ligation a permanent surgical method at the Marie Stopes clinic in Jinja when I met her. She was well aware that this method is permanent because the clinical officer at the clinic gave her thorough counselling. Women like Rose are lucky that these services are now more available. 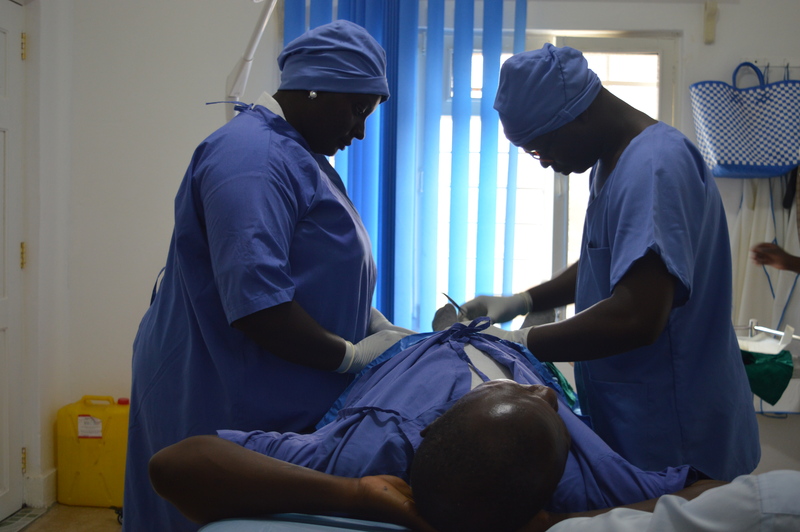 In the past, conducting such a procedure was restricted to only surgeons that are at the Health Centre IV and regional hospital yet the ratio of doctor to patient in this region is 1: 2000. Through the Task Shifting Policy, the clinical officers after going through a thorough training can conduct bilateral tubal ligation and vasectomies. This means that more women and men that want to have a permanent family planning solution can access these services. “We were trained in conducting permanent family planning methods; tubal ligation and vasectomies. From the time we started conducting the procedures, they have all been successful,” Arafat Mugabe a clinical officer at Marie Stopes said. In one month, the Jinja clinic alone receives 150 women that are seeking tubal ligation and 3 men that are seeking a vasectomy. The number of the men who have vasectomies is still low because of the myths that surround this procedure. Most men in this region believe that a vasectomy would weaken their libido and sexual performance, a myth that Mugabe dispels. “We are glad that men are opting for the permanent family planning method.” He says. At the clinic, I also met Musoke (not real name) a 45-year-old taxi driver who had come for a vasectomy. He has 9 children from his two wives. Musoke held this myth for a long time until his friend convinced him that there were no side effects. Rose and Musoke are on the same mission, a better life for their children. They want to concentrate on taking care of their children and not have surprises along the way. The task sharing surgical methods of contraception has granted them that opportunity to make that choice. ← When did you last visit your dentist?